Dear Mr. Salus, Greetings in the Name of our Savior and Lord Jesus Christ. In reading some of your articles it is clear you believe Psalm 83 precedes Ezekiel 38. I’m puzzled about some prophecies regarding Egypt in the end time’s. Could you please answer the following questions? Q. Ezekiel 29:12-13 says Egypt is made desolate for 40 years, has this happened in history? A.I believe Egypt’s 40-year desolation period, which corresponds with the 40-years of Egyptian deportation into world nations remains, an unfulfilled prophecy. However, some expositors believe this has already been fulfilled. To argue their point they often refer to the writings of the Jewish Historian Josephus in “Antiquities, Book 10, Chapter 11, Section 1″. Book 10 is titled, “From the Captivity of the Ten Tribes to the First of Cyrus” and Chapter 11 is titled, “Concerning Nebuchadnezzar and His Successors, and How Their Government was Dissolved by the Persians; and What Things Befell Daniel in Media; and What Prophecies He Delivered There”. The Egyptian 40-year captivity could have been fulfilled at this time; however it is hard to find historical or archaeological proof that this past deportation spanned 40-years. Thus Ezekiel 29:12 may still be a pending prophetic event. I recently emailed the following comments to a friend regarding the 40-year Egyptian deportation. “There is the inference of Egyptian deportation by Josephus but it seems to be for an unspecified time. Some estimated dates of importance in considering the length of the Egyptian deportation are Nebuchadnezzar invaded Egypt in 568 B.C. and Cyrus of Persia, defeated Babylon in 539 b.c. From these dates it is difficult to determine if the 40-year deportation was fulfilled. Portions of Ezekiel 29-30 seem to find connections with Nebuchadnezzar’s time; however Ezekiel 30:3 alludes to the “day of the Lord,” which is commonly associated with the Tribulation period. Additionally, Ezekiel 30:5 speaks of more than Egypt being attacked. It alludes to Ethiopia, Libya, Lydia, and Chub. 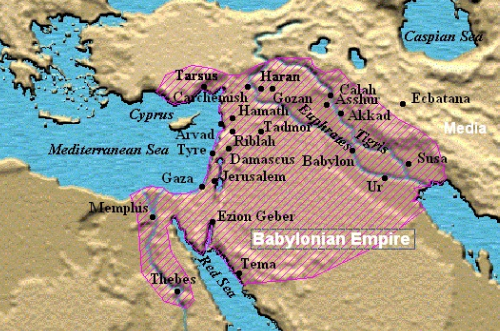 The expanse of Nebuchadnezzar’s kingdom seems to not have included all these countries. Therefore, this part of Ezekiel’s prophecy seems to connect better with Daniel 11:42-43, which is also often taught to be a Tribulation event. Thus, we have to consider the possibility that Ezekiel 29-30 contain both near (fulfilled during prophets lifetime) and far (to be fulfilled after the prophets lifetime) prophecies. Some events Ezekiel describes clearly found fulfillment during Nebuchadnezzar’s time (near), whereas others seem to be reserved for future fulfillment. Isaiah 19:16-18 and Daniel 11:42-43 are far prophecies and could trigger the forty years of Egyptian deportation. If so then forty years could commence after either Psalm 83 or Daniel 11:42-43. In either instance the deportation could carry over somewhat into the Messianic kingdom. Additionally the widely respected eschatologist, Dr. Arnold Fruchtenbaum discusses these topics briefly in his Footsteps of the Messiah. The pertinent pages to study regarding Isaiah 19 and Ezekiel 29 are 497-509. In a nutshell, he states that because of Egypt’s longstanding hatred of Israel … they will suffer desolation similar to that of Edom according to Joel 3:19. This desolation will lead to the 40-years of Egyptian deportation. However, at the end of the deportation an Egyptian remnant will be regathered and Egypt restored. But, Egypt will be a lowly kingdom throughout the 1000-year Messianic Kingdom. Arnold believes the first 40 years of the Messianic Kingdom could find the land of Egypt in a desolate condition and Egyptians dispersed throughout the world. Thus, he appears to believe the 40-year deportation is still a pending prophetic event and could overlap into the Messianic Kingdom. I agree with Dr. Fruchtenbaum that the deportation could extend into the Messianic Kingdom, but if the deportation commences after Psalm 83, then I don’t believe there will be a full 40-year overlap. 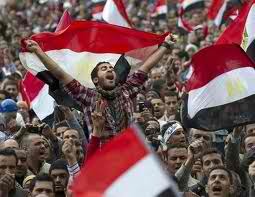 If Israel’s victory over Egypt in Psalm 83 begins the 40-year Egyptian deportation process, then I believe much of this 40-year period could elapse before the Messianic Kingdom even commences. Q. Isaiah 19:23 says there will be a highway out of Egypt to Assyria and the Assyrian shall come into Egypt. When do you believe this finds fulfillment? A. I believe this finds fulfillment during the 1000-year Messianic Kingdom period. Q. Isaiah 19:18 says 5 cities in Egypt will speak the language of Canaan. Has this happened in history? A. The language of Canaan was Hebrew. I believe this remains an unfulfilled prophecy. Contextually, these five cities speak Hebrew after Egypt has a terrorizing encounter with Judah (Israel). I believe this encounter has to do with Egypt’s participation in the climactic concluding Arab – Israeli war described in Psalm 83. Egypt is identified in Psalm 83 under the banner of the “Hagarenes.” Hagar was the Egyptian matriarch who mothered Ishmael to Abraham.